I’m excited to be at the Just Crop Retreat again tomorrow. I have so much fun at this event every month. This time, I had a tough time trying to decide what to share at the retreat. There are so many wonderful things in the new Occasions and Sale-a-bration Catalogs. I just want to show off everything. But, alas, it is just not possible to show everything is one day. Here is one the Make & Takes I will have tomorrow. With Valentine’s Day right around the corner, it was an easy decision to have a Valentine’s Day card. But, if you look closely, it doesn’t actually say anything about Valentine’s Day so you could give it to anyone at any time you want to tell them that you love them. This card uses the brand new Dynamic Embossing folder Scattered Sequins. The Dynamic Embossing folders are pretty cool because they give you a more pronounced emboss on the paper. The Painted With Love pattern paper has this gorgeous metallic gold foil worked into the print of the paper. It looks amazing in real life. The striped pink heart is stamped on Shimmery White card stock. It’s hard to see the sparkle in the photo but I promise you it is there. The “I just love you” sentiment actually comes in a straight line. I curve it as I stick it onto my clear block so it fits better in the banner punch. And that Mini Tinsel is so fun and it ties so nicely without a lot of bulk. If you’re local to Orange County, you should think about attending one of these Retreats. 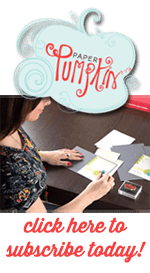 They are a great way to get some of those creative projects completed that you never get around to at home. Plus time away with friends is always fun.